The Westport Green Task Force is (surprise!) a big fan of solar energy. Today, the organization responds to a recent “06880” post on the drawbacks of that power source — first by highlighting an upcoming event, then by offering some thoughts on the benefits of solar. A”Solar Open House” is set for today (Saturday, June 21, 1-3 p.m., 10 Stone Drive, near Clinton Avenue). Anyone interested in learning more about solar is invited. The Westport Green Task force is also promoting a Group Solar Purchase until June 30, as part of the Thermal Imaging and Energy Efficiency Program. Westport was one of 5 state towns chosen to participate in this effort, by the CT Clean Energy Financing and Investment Authority. Astrum Solar was chosen to be the vendor for the solar photovoltaic portion of the program. It offers some of the best quality equipment, pricing, warranties and production guarantees. Before we discuss the cost of the system, let’s acknowledge that solar PV has remarkably predictable returns (electricity generated that decreases your overall electricity bill). There is minimal risk, as Astrum Solar guarantees 95% of the predicted electricity output. Perhaps Astrum Solar can offer this guarantee because it is installing microinverters (which convert DC to AC current) with every solar panel, which helps the system work more efficiently, even in shady conditions. All the equipment is warrantied for 25 years, including the microinverters. What about the cost of a solar system? Conventional wisdom says the cost of panels will decline over time. But the state rebates that have made solar so appealing up to now have also declined, and are predicted to continue doing so. In addition, the federal tax incentive of 30% is scheduled to expire on December 31, 2016. So now is the best time to go solar. As for return on investment, it tends to be 6-9 years for a residential system with an internal rate of return of 9-12%. If you are concerned about financial liquidity there is a lease option, with no upfront cost. You can go solar for no money out of pocket, and save 10% to 20% a month on your electricity bill. Furthermore, if you produce your own electricity you are protected against utility rate increases. CL&P is scheduled to increase prices by over 8% on July 1. CT is also gearing up to convert most of its power plants to natural gas. It is predicted that electricity prices will increase as demand for natural gas (and the money to build the infrastructure to manage the natural gas) outweighs supply. Solar PV power can be the way to go. You most probably won’t need to replace the solar panels in your lifetime. Some panels installed in the 1960s are still working, and while output does decline slightly each year, panels are still working at 85% of their original efficiency after 20 years. 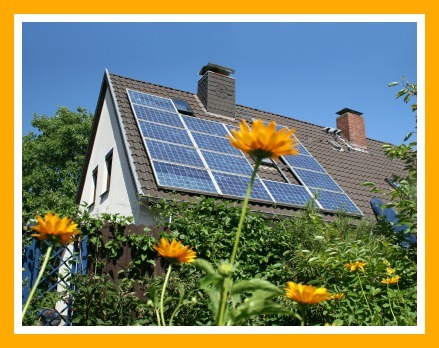 As for resale value, recent research has shown that homes with solar panels sell for more. Don’t forget the environmental benefits of decreasing carbon dioxide output by not using carbon fuels to generate your electricity. Chances are, if you are a prospective solar PV client, you have already considered this. But nothing is perfect, and it is true that when the electricity goes out, the solar panels that are connected to the grid stop working (unless you opt for a battery back-up system, which is costly and has environmental issues: most batteries consist in part of toxic chemicals and must be replaced regularly). The good news is that if your solar panels make more electricity than you need, your electric meter runs backwards, decreasing your electricity bill the next month! 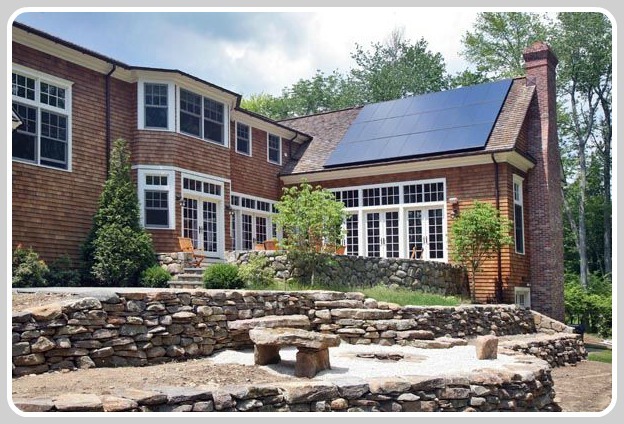 While solar PV is not for every home — especially in Westport, where there are so many shade-causing trees — plenty of homes are well situated. Contact Astrum Solar (800-903-6130) as soon as possible if you have any interest in this program. Contracts must be signed by June 30; the process, including a site visit, can take time. This entry was posted in Environment, Organizations and tagged Astrum Solar, Westport Green Task Forrce. Bookmark the permalink.